Elegant Tweaks is built around customizing Elegant Themes. But why Elegant Themes? What makes Elegant Themes better than any other WordPress theme membership? Elegant Themes makes absolutely beautiful themes that are second to none. 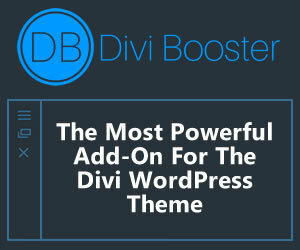 Every theme has the potential to look amazing right out of the box and with little effort. There may be other themes that offer more in layout options, but they require skill to give them a polished look and feel. Elegant Themes pride themselves in doing the design work so you don’t have to. 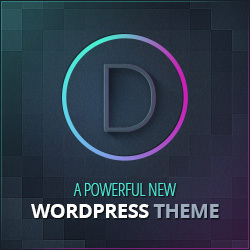 Currently there are over 80 themes to choose from when you join Elegant Themes. If you choose the lowest membership package, that’s over 80 themes for less than $40. This is an incredible value compared to other membership sites and even most individual themes. Imagine walking into a shoe store and paying $39 for unlimited access to any pair of shoes in the store. Tired of your old shoes? No problem. Get rid of them and grab a new pair. Unlike many WordPress themes that provide little to no support, Elegant Themes stands behind their work. Once you become a member, you have full access to their large support forum. If you can’t find a topic that matches your problem, ask one of Elegant Theme’s talented support staff members. They do an excellent job of finding solutions to almost every problem you might face. As stated above, the support staff at Elegant Themes know their stuff and they do an excellent job. The problem is they can’t fix every problem. This isn’t due to a lack of knowledge but more of a cost issue. Many topics posted in the support forums are issues that Elegant Tweaks are not responsible for. You might want to do things with your theme that your theme was not designed to do. You wouldn’t buy a vehicle from a dealership and then call them when it gets stuck in a snow drift. That’s where we come in. We’re working on building a large selection of tweaks for each theme that seem to be common challenges in the support forum. Some of these problems may even be solved in the forum but it can be time consuming to sift through the many issues and finding the answer. We want to help with that too. With an Elegant Theme and a few tweaks, you can make WordPress do pretty much whatever you want. And that’s exactly why Elegant Tweaks was created.